It is not usual to see men sporting horn-rimmed glasses and unruly beards in the streets surrounding Bank underground station. Listen in carefully and they’re discussing sous vide techniques and arguing about the merits of new Nordic cuisine. This is usually the province of chinless bankers in ill-fitting double-breasted suits whingeing about interest rates – something is amiss in the City of London. Cameras and cardigans in bright colours, stylish shoes…it can only mean one thing: The World’s Best Restaurateurs have descended on Guildhall once again. Monday night’s awards were heaving with the great and good of the hospitality trade, along with writers, journalists, bloggers and all manner of other hangers-on and assorted loafers and loaf-makers. There were oysters from West Mersea Island courtesy of Richard Haward, two Joselito gran reserva hams, and magnums of Veuve Clicquot to feed and water the biggest crowd the event has seen – this being the tenth anniversary awards. The greatest buzz in the room seemed to be surrounding whether or not Noma could take the top spot once again, which would make it three years in a row for the leading force of ‘New Nordic Cuisine’. Other hot favourites for number one were El Celler de Can Rocca and Mugaritz – both from Northern Spain; Girona and San Sebastian respectively. The crowd were also keen to see how the fortunes of The Ledbury have evolved after the restaurant joined the list as the highest new entry last year at number 34. As the throng settled down in the beautifully lit great hall at the Guildhall, proceedings began with an obligatory run through the sponsors. Once the awards were underway, the countdown came thick and fast. A notable absence from this year’s list was St. John Restaurant, the great London ‘nose-to-tail’ institution and a stalwart on this list having featured in every previous awards. That said, I doubt Henderson and his team are too upset by the result; you get the sense that awards were never top of the list of priorities. I suspect Fergus would say running a restaurant was more about feeding people a good lunch. It could be said that this was not a great year for UK fine dining, with no restaurants featuring in the top five, and The Fat Duck sliding out of the top ten for the first time since 2004. However, this would be to overlook the achievements of Heston and his protégée Ashley Palmer-Watts and the biggest London opening of 2011 – Dinner by Heston Blumenthal, which came in as the highest new entry at number nine. This represents an extraordinary achievement for a restaurant that is only just beginning its journey. Another highlight of the evening was seeing The Ledbury get an award for the highest climber, moving twenty places from number thirty-four last year, to number fourteen. Brett Graham’s inimitable style of progressive yet classically perfect cooking has been delighting critics and visitors to his Notting Hill restaurant for long enough. It’s high time the restaurant received full recognition – if there’s a better place to eat in London right now, I don’t know about it. The Scandinavians were predictably out in force and not just the Danes this year. Three sensational Swedish restaurants were honoured at this year’s awards. 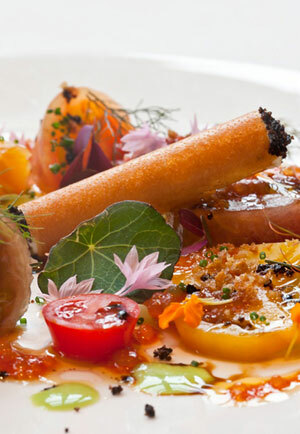 Restaurant Mathias Dahlgren was back in the list at forty-one; winning recognition for his well-established restaurant at Stockholm’s Grand Hotel. From the younger generation first comes Fäviken, Magnus Nilsson’s remote twelve-seater hunting lodge restaurant in Jarpen – 750km north of Stockholm. Nilsson is known for presenting extremely pure, robust and intellectually challenging cuisine from this tiny bolthole on the edge of the Arctic Circle. The highest climber and best result for Sweden came in the form of Frantzén/Lindeberg, last year’s ‘one-to-watch’, which has jumped up thirty-seven places from fifty-seven up to twenty! This is a spectacular result from a restaurant that has the power and skill to really change the way one thinks about the relationship between ingredients and technique. As the countdown moved towards its conclusion it was clear that the judges’ tastes at the top were unchanged. Mugaritz, El Celler de Can Roca and Noma made three, two and one respectively in the same manner as last year’s event. Some commentators seemed a little bored by Noma’s third win in three years, but none could fail to be charmed by their group acceptance speech which was led by the kitchen porter, Ali Sonko, who was banned from earlier events due to visa restrictions. Sonko was truly delighted to accept the award on behalf of his team. The jury is still out on whether the San Pellegrino list provides an accurate and reliable indication of the best places to eat in the world, but what’s clear is that the event creates a huge amount of dialogue and frenzied interest in what’s happening in the restaurant scene globally and that is certainly a positive thing. The event also gives some of the most engaging, innovative and talented cooks from around the world an opportunity to come together, eat, drink and compare beards and that’s got to be worth the airfares. Look out in February 2013 when Singapore hosts the first ‘Asia’s 50 Best Restaurants in Asia’ event; this is sure to set the ball rolling in yet another fascinating direction. 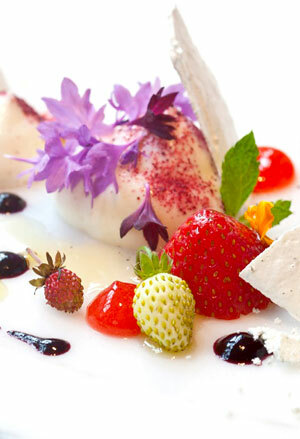 The full list of awarded restaurants can be found at the World’s 50 Best Restaurants website.